Even though there were just a handful of games released this week for iOS (7 to be exact), there were still a couple that are most definitely worth checking out. 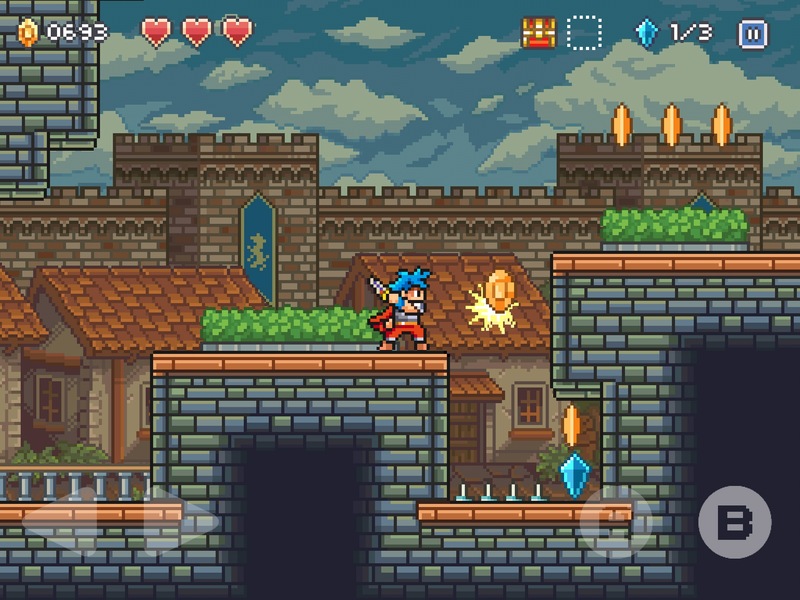 One of which, is the 16-bit platformer Goblin Sword by Gelato Games. My first impression of the game was nothing special, but once I got to know it a bit better, I was quickly on the hook. 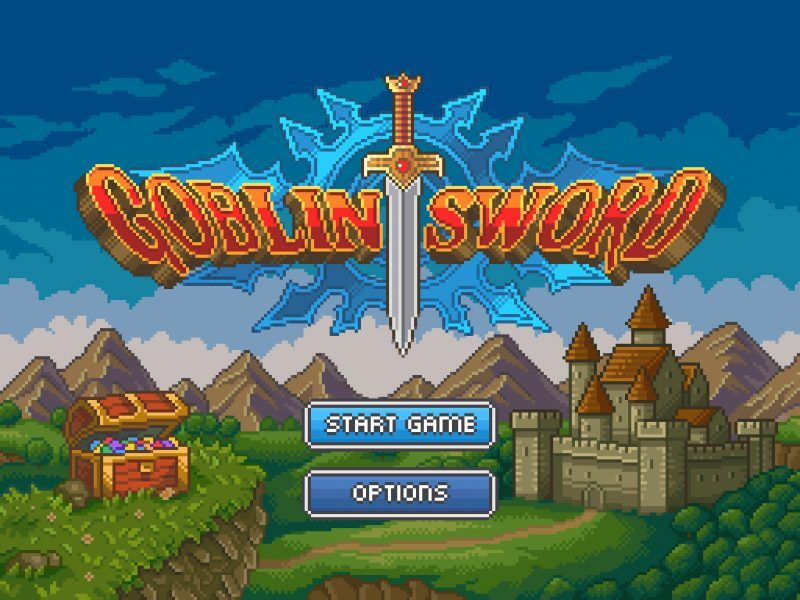 For those looking for something where you can cruise through each level, this may not be for you — as the real fun in Goblin Sword comes from trying to track down every single crystal and treasure chest spread throughout the many different levels in the game. Goblin Sword doesn’t really offer anything groundbreaking to the 16-bit genre as far as visuals go, but it does do a lot of things right. There isn’t a whole lot of visual variety throughout the game, which is probably the biggest downfall of this category, but I do think the artwork is fantastic. It’s pretty hard to decipher one level from another until you reach the next big area, and overall it feels like you’re seeing a lot of the exact same things as you progress through the game. The frame rate was almost perfect, and I do want to commend Gelato Games for making a smooth and visually enjoyable game. Even though the word sword is in the title, I’d like to have seen a bit more costume options rather than weapons options. There are a ton of swords you can buy and use in the game (each with it’s own special ability), but it seemed your choices for new armor sets were too few and far between. Just a few minor components are missing, but overall, the graphics and visuals in Goblin Sword are far above average for a game with it’s artwork style. When I play any game, I tend to play through it quickly at first, and then go back and work on any type of hidden items or achievements. However, it didn’t take long at all to realize that wasn’t going to fly with Goblin Sword — not because I couldn’t do it, but because that wouldn’t make for a very enjoyable experience. You could easily breeze through every level in this game in a short amount of time, but that just isn’t all that fun. All you can do in the game is jump and swing your sword, but these two actions provide a surprising amount of depth. The majority of Goblin Sword’s levels are really quite easy to complete, but the true challenge comes from finding the hidden crystals and treasure chests. If you rush through the level you can avoid a lot of the obstacles and enemies that would normally pose a threat in hidden areas. Early on, the majority of your enemies are stationary and some don’t even make an effort to attack you, but later in the game you’ll face some rather difficult enemies — including a boss at the end of each zone. Most of the hidden crystals and treasures are in secret passages in the walls or in the dirt of an elevated terrain. Finding these is definitely a challenge, as your only tools are guessing and scenario evaluation. A lot of times you can see the area you need to get to, but there’s no clear path on how to get up there, which leaves it up to you to check all of the reachable walls in the levels to see if there’s a hidden pathway. Between all of the searching for hidden objects, fighting a mix of stationary and mobile enemies, and avoiding lava and spike traps — there’s really a lot you need to be aware of in this game. 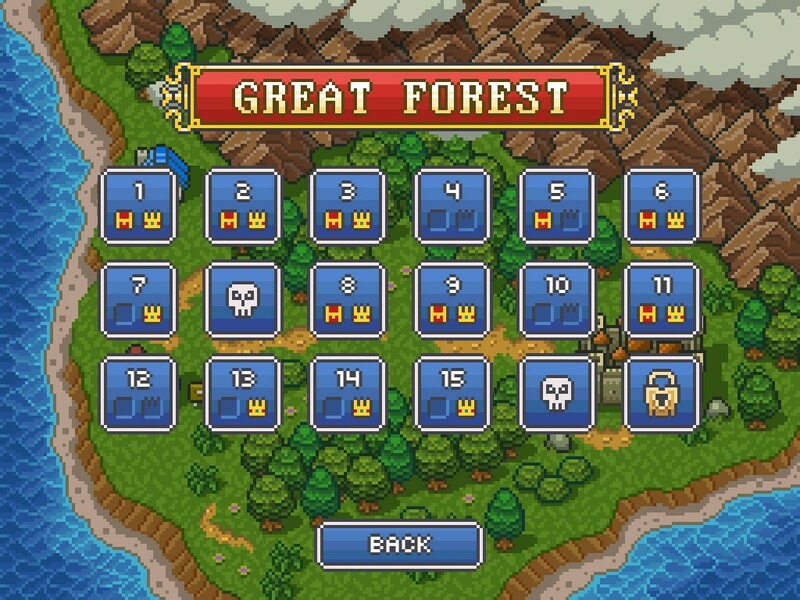 As far as simply navigating through the game menus, buying new armor/weapons, and choosing what level you want to play — Goblin Sword is fine. There’s no bulky menus or confusing navigation set-ups, and although this should be standard, it’s something that needs to be noted on mobile games. Obviously this doesn’t constitute a great interface, but there’s a few other elements that I really enjoyed about this game’s UI, especially in-game. Everything you need to know is readily available on your screen throughout any given level. Your coins, HP, collected treasure, and available crystals are clearly displayed at the top of the screen. The controls are very simple — just move left or right, as well as jump or attack. Even though these buttons are sized well enough, there was a couple of instances where it seemed slightly unresponsive, although I may have been mis-tapping. My suggestion to improve the UI would be a customizable button interface, and I don’t see any problems that would come from this. If players could scale the size of your movement and action buttons, and move them around the screen as they wish, that would have been enough to merit a perfect UI in my opinion. Despite all of the pieces being in place for a game with high replay value, the gameplay is a tad bit too repetitive to truly enjoy playing through every level and finding every secret in the game. It’s definitely a game that you can easily pick up from time to time, work on a few levels, and then move on to something else — but I can’t see too many people putting a lot of consecutive hours into it on a regular basis. With the addition of another game mode, I could see things really opening up for Goblin Sword, since there’s quite a bit of potential with it’s combat system. The most common thing is some sort of Endless mode, and I could maybe see that working here. I would like to see a stationary screen mode, where waves of enemies come at you, and HP is replenished every few levels. This would really change pace from the gameplay in the main game mode, and would also provide a pretty decent challenge given the nature of some of these enemies attacks. Regardless of what it’s lacking, there is still a ton of playable levels with a lot of unique ways in which you find the secrets that the level has to offer. 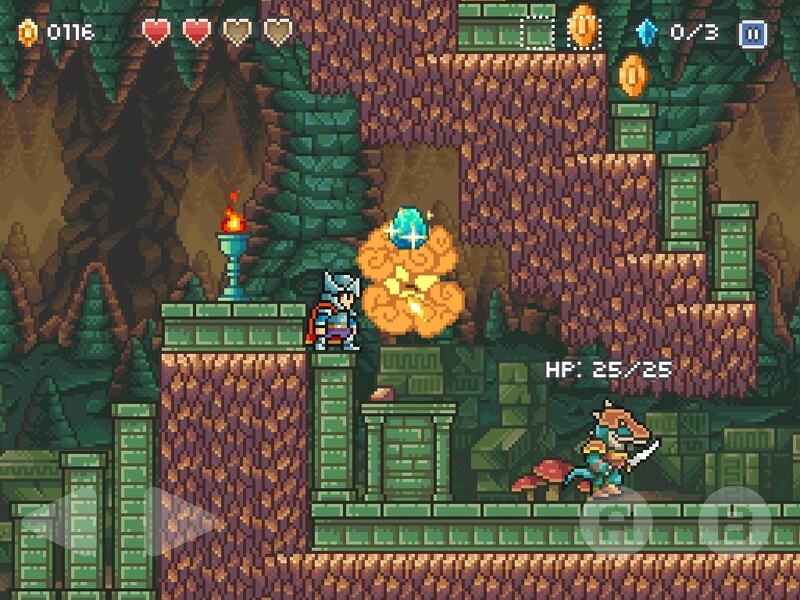 For being a $1 game, there’s not much room for complaint with Goblin Sword. You get a lot of different levels, plenty of character customization, and all of that built into a game that runs very smoothly. I can’t see many people thinking this is a waste of a dollar, and there’s definitely a big audience that would enjoy playing Goblin Sword. Click here to check out Goblin Sword for the Apple App Store! Let us know what you thought about this new platformer game, as well as our review of the game! We’d love to hear what you have to say in the comments section below. 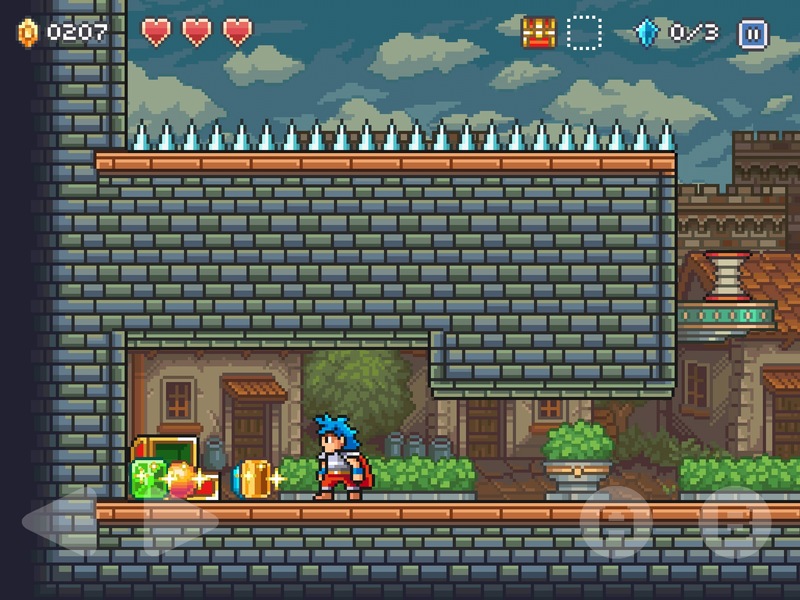 For being a $1 game, there's not much room for complaint with Goblin Sword. You get a lot of different levels, plenty of character customization, and all of that built into a game that runs very smoothly.